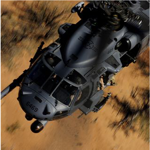 including the EA117 DesertCombat server. As of July 2014, anyone running a normal, unmodified Battlefield 1942 installation will start to hang when attempting to access the "Internet" servers list from the "Multiplayer" menu in Battlefield 1942. Note: "Program Files (x86)" is the correct directory for 32-bit applications running on a 64-bit version of Windows. If you are actually running on a 32-bit version of Windows, then the correct directory is just "Program Files" and the correct destination path for the Origin-downloaded Battlefield 1942 game is "C:\Program Files\Origin Games\Battlefield 1942". 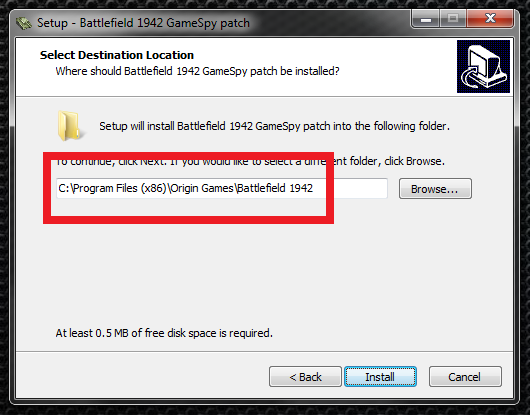 Note: If you have both a CD-based Battlefield 1942 game installation and an Origin-download Battlefield 1942 game installation on the same Windows machine, you will need to run the Battlefield 1942 GameSpy patch v1.61 installer twice: Once while specifying the CD-based Battlefield 1942 program directory as described above, and then again while specifying the Origin-downloaded Battlefield 1942 program directory as described above. and don't want to know anything more. Using the updated BF1942.EXE files is the recommended and "best solution". However, if you would rather not replace your BF1942.EXE file, there are alternatives which are discussed in the following sections. Working around the issue instead of applying a fixed BF1942.EXE just risks that your Battlefield 1942 game can still hang in the future, even though the work around avoids this symptom for today. Both the original CD-based version and the later Origin-delivered version Battlefield 1942 query a third-party "master.gamespy.com" server to present "the in-game list of servers", which means the list of servers you see in Battlefield 1942 when selecting "multiplayer" and "internet" to view available Battlefield 1942 servers. Battlefield 1942 public servers registered with "master.gamespy.com" in order to be visible in the list, and the Battlefield 1942 game you run on your local computer queried "master.gamespy.com" to retrieve the list. GameSpy had announced that the "master.gamespy.com" server which hosts this service would be taken offline on May 31, 2014. Electronic Arts has subsequently stated "end of June" for these services to go offline. The shutdown finally happened on July 26, 2014. On an unmodified CD-based or Origin-based Battlefield 1942 installation, if the game cannot communicate to "master.gamespy.com", there is a long hang of many minutes when attempting to access the "Internet" servers list in the "Multiplayer" menu of the game. There are several options for how you can work around or fix this issue. Option 3 is recommended, and represents the best quality and least-hassle option for both technical and non-technical players alike, but any of the options will successfully mitigate the symptom caused by the shutdown. OPTION 1: Live without a working master server. As stated, anyone still running an unmodified BF1942.EXE after the shutdown occurs will encounter the issue of Battlefield 1942 hanging, if the player intentionally or unintentionally tries to access the "Internet" servers list from the in-game "Multiplayer" menu. However, it is still possible to "avoid ever entering that menu" in order to try and avoid the hang. And you can still play on public Internet servers this way, if you use a third-party game manager program like XFire or GameRanger or several others which are available. These third-party game managers present a list of servers without depending on the Battlefield 1942 in-game server list technology. And when you elect to join a server from the third-party manager, they launch BF1942.EXE with the explicit "+joinServer" server address which bypasses the need to use the in-game server list. So even though "the issue isn't fixed" and your Battlefield 1942 game will still hang if you get kicked back to the "Multiplayer" menu during a game, for the most part this approach of using XFire, GameRanger or another third-party game manager does avoid the issue caused by the GameSpy shutdown. Note that prior to May 2014, previous fixes from Team-SiMPLE had already provided CD-based and Origin-based replacement BF1942.EXE files which eliminated the hang that occurs when entering the "Internet" servers list from the in-game "Multiplayer" menu. This was just one of several fixes being provided; the replacement BF1942.EXEs also enabled in-game widescreen support, etc. If you are already running one of these previous "no hang" fixes, the hang will not occur even now after the GameSpy shutdown. But if you attempt to "Update" the server list, your "Internet" servers list will now be empty because master.gamespy.com is no longer responding. Any servers you had previously marked as "Favorite" will still be present though, and you can still use the "Add" button to manually add additional servers to the list and them mark them as "Favorite". As of May 2014 the downloads from Team-SiMPLE have been updated to use "master.bf1942.sk" instead of "master.gamespy.com", same as the fixes available from --=[ aX ]=--. So downloading Team-SiMPLE's latest modified BF1942.EXEs will simply give you the same fix as applying the --=[ aX ]=-- fixes, described as "Option 3". OPTION 2: Change your Windows "hosts" file to redirect master.gamespy.com queries. What --=[ aX ]=-- has provided is a replacement for the "master.gamespy.com" online service. Since GameSpy still owns the previous "master.gamespy.com" domain name, the replacement service is running at "master.bf1942.sk". Because the shipping Battlefield 1942 games are only coded to query "master.gamespy.com", additional steps are needed in order to make your Battlefield 1942 game use the replacement service running at "master.bf1942.sk". 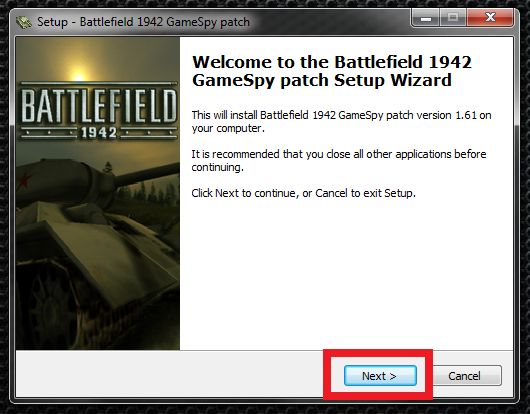 One way you can make this happen is to change the "hosts" file that exists on the operating system you are using, so that when the Battlefield 1942 game attempts to connect to "master.gamespy.com", the game will be forced to talk to "master.bf1942.sk" instead. On Windows, although the "hosts" file exists in the "C:\Windows\System32\drivers\etc\" directory, it can be difficult to edit on Windows 7 and later due to the default Windows security settings. --=[ aX ]=-- has provided an automatic hosts file updater "bf1942_gamespy_patcher.exe" which will edit the "hosts" file for you. If instead you choose to edit the "hosts" file manually, you will need to add the line "94.23.196.155 master.gamespy.com" to redirect "master.gamespy.com" queries to the address of the replacement service. Note that the location of the Windows "hosts" file is actually a secure directory, so editing the file without help of the --=[ aX ]=-- automatic hosts file updater "bf1942_gamespy_patcher.exe" can present some challenges. Also note that some anti-virus and Internet protection software can detect an attempt to change the Windows "hosts" file as a "potentially malicious action" which you may be prompted by your anti-virus software to approve. 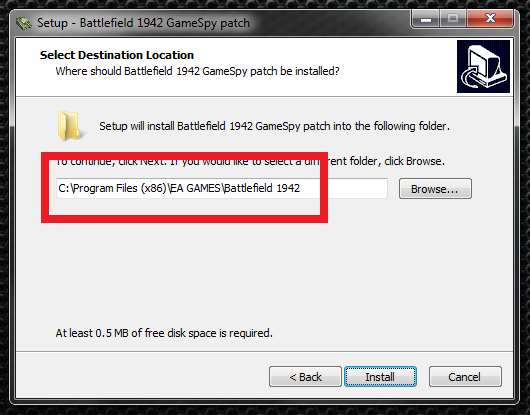 OPTION 3: Use a modified BF1942.EXE which no longer depends on master.gamespy.com. Another way you can make the Battlefield 1942 game use the replacement service running at "master.bf1942.sk" is to use the updated BF1942.EXE files provided by --=[ aX ]=-- or Team-SiMPLE. The code in these BF1942.EXE replacements has been changed to query "master.bf1942.sk" directly instead of attempting to continue querying "master.gamespy.com", so no "hosts" file change is required. Team-SiMPLE provided an automatic installer for these updated BF1942.EXE files, available by downloading and executing the Battlefield 1942 GameSpy patch v1.61 installer (battlefield_1942_gamespy_patch_v1.61.exe) as described at the beginning of this document. More information regarding the modified BF1942.EXE files is available on --=[ aX ]=--. Information on the Team-SiMPLE automatic installer can be found their web site. When linking to this information page, please use ea117.com/gamespy so that we can always direct you to the latest information. Last edited by Trench on August 13th, 2014, 4:21 pm, edited 4 times in total. Updated July 26, 2014 to declare that the shutdown has actually occurred, and to remove all pre-shutdown references and contingencies. The recommended solution remains unchanged: Applying the updated BF1942.EXE to your CD-based or Origin-based Battlefield 1942 game will not only fix the "Internet" server list hang issue, but will also provide "true widescreen support" and other fixes being made in the updated BF1942.EXE files. 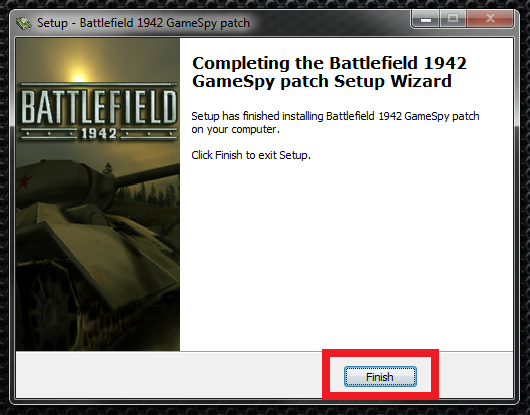 Updated August 13, 2014 to replace manual .ZIP file download and BF1942.EXE replacement instructions with download and screen shot information for using the Team-SiMPLE Battlefield 1942 GameSpy patch v1.61 installer (battlefield_1942_gamespy_patch_v1.61.exe). The modified BF1942.EXE files themselves have not been updated or changed; this is simply an automatic installer to help players correctly and successfully apply the same updated BF1942.EXE files that were being recommended previously. Updated "OPTION 2: Change your Windows hosts file..." to reflect the latest AX IP address "94.23.196.155", in place of the now obsolete 109.71.69.254 IP address for redirecting master.gamespy.com to master.bf1942.sk.